Akshaya Patra provides employment opportunities to hundreds of local people. Most of our kitchens are large, state-of-the-art, factory-like and what we call 'centralised', as they have the capacity to produce huge amounts of food every day. We utilise some amazing, high specification technology in our kitchens. 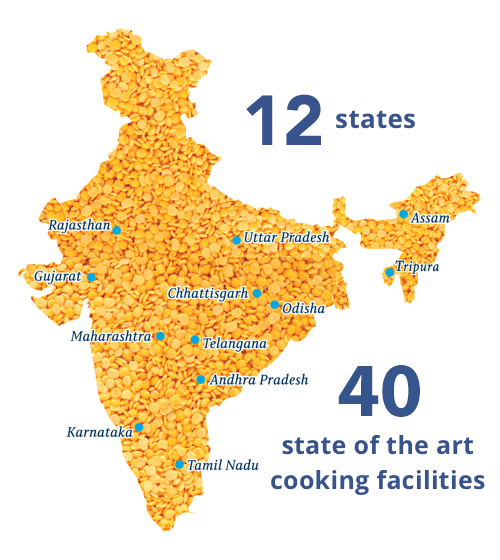 For example, our roti machines are capable of producing 40,000 rotis an hour, our rice cauldrons can cook 120 kilograms of rice in 20 minutes – enough to feed 1,000 children, and our dal machines can cook 1,000 litres of dal in two hours – enough to feed 6,000 children. We would be delighted to give you a tour of one of our kitchens and can also arrange for you to visit a nearby partner school at lunchtime to meet the children we serve. Please contact us for more information. In locations where factors like difficult geographical terrain and improper road connectivity do not support the construction of large infrastructure, the decentralised kitchen format is the ideal solution. 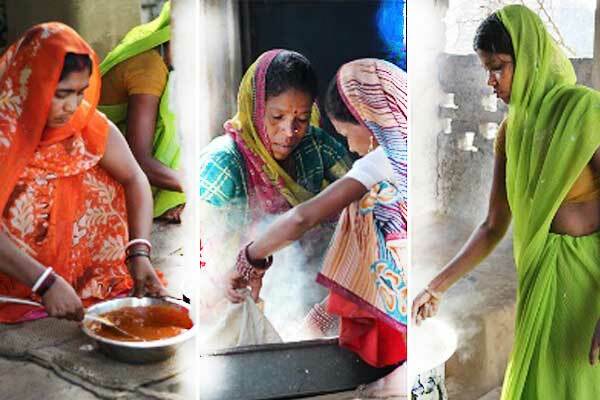 These kitchens are run by women Self-Help Groups (SHGs) under the guidance and supervision of Akshaya Patra’s kitchen process and operations module. 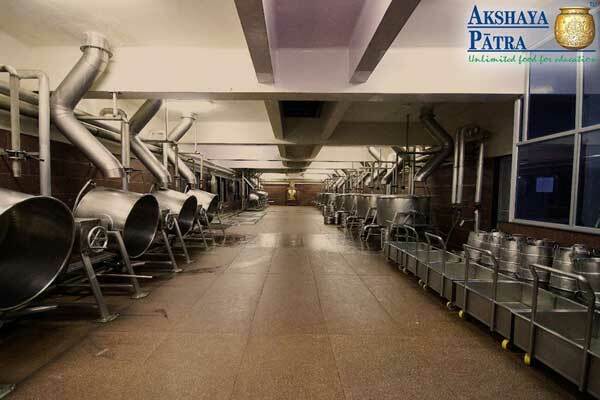 Quality and Food Safety are the primary ingredients at each of the Akshaya Patra kitchens. Learning from the past, we have introduced various metrics in every area of operations and service delivery. We have also partnered with different organisations to review the quality of the mid-day meals we prepare and serve to children. To maintain the quality of the meal, standardisation of recipes across all locations has been undertaken. We also strive to ensure that children not only have access to 'unlimited food for education' but also to prescribed quantities of nutrition. In order to consistently maintain quality of the meal, we take feedback from schools on a daily basis while delivering the meal. As we aim to maintain and better our services by sustaining the quality of the mid-day meals we provide, there is a need for continual improvement. We must advance the performance of various processes continuously so that every cycle of improvement leads to the next level of achievement. We adopted a holistic approach and designed a programme called ‘AkshayaPragathi’. As a part of the programme we are adopting and implementing Kaizen, CI Projects and Six Sigma methodologies to ensure and make every member a part of these initiatives.